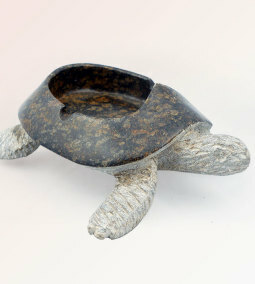 The tortoise soap dish is named patience and so should find a home with someone who loves tortoises or executes or needs to practice patience because having patience means you can make a measured and detailed assessment of a situation. 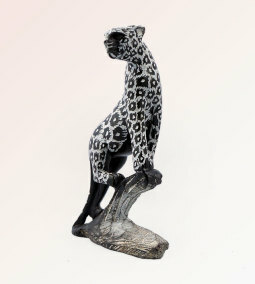 The hungry seeking African leopard sculpture is a truly beautiful piece, where the artist has displayed his keen eye for detail and accuracy as they achieve this elegant piece in one sitting. 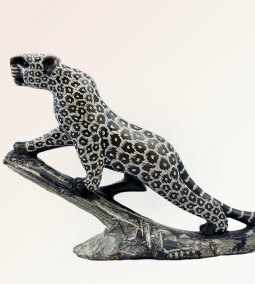 The climbing African leopard is an elegant piece of art, showing off the African leopards muscle and athletic frame as it ascends up a tree limb. 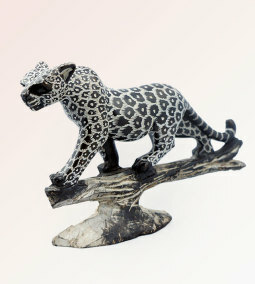 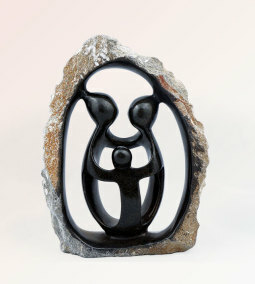 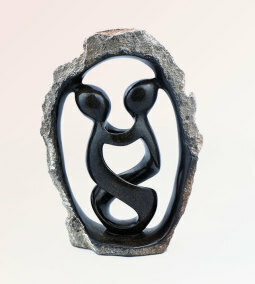 The prowling Leopard sculpture is an elegant piece of art, showing off the African Leopards muscle and athletic frame. 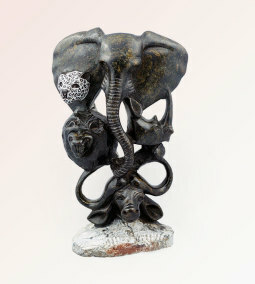 The African big five sculpture is an elegant piece showing five of Africa’s most dangerous big animals. 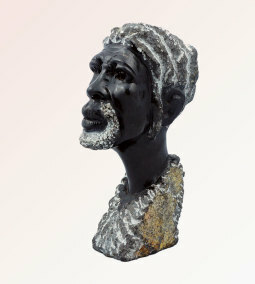 This wonderful stone sculpture is of a tribe man who founded Victoria Falls with David Livingstone back in 1855.